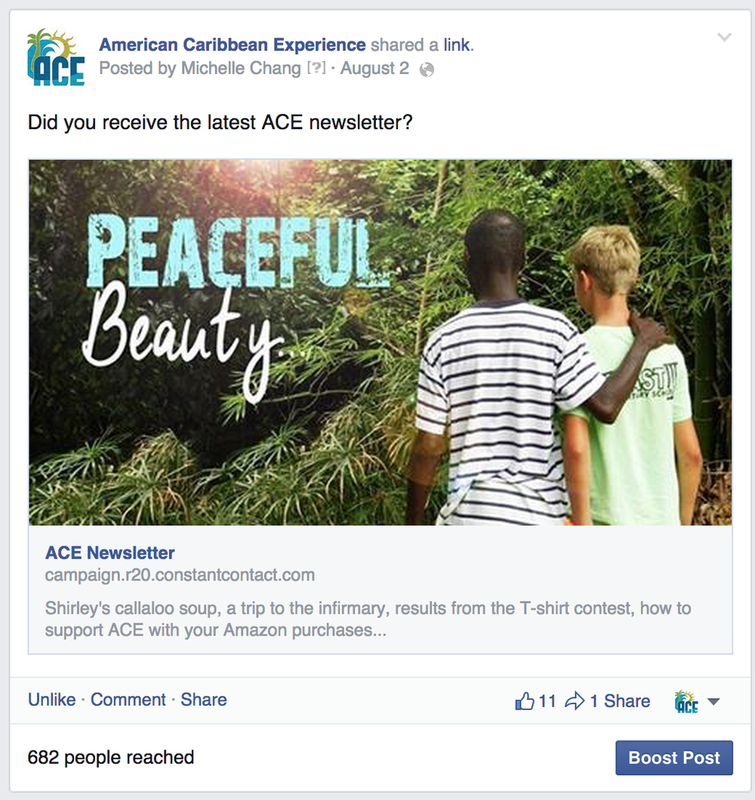 “Before ACE began to use J&M Consulting, our social media was dead in the water. None of us had time to manage our Facebook and Twitter accounts or even our website. After one month of Jedd and Michelle taking over our social media, engagement increased immediately, we got great responses, and my inbox began to flow with emails on how ACE had impacted their lives. We recommend J&M to anyone seeking to improve how they get their message out, particularly reaching the next generation." ACE (American-Caribbean Experience) is a non-profit organization that is dedicated to serving the people and parish of St. Mary, Jamaica. ACE brings volunteers from the United States to work alongside Jamaican nationals on strategic development projects. 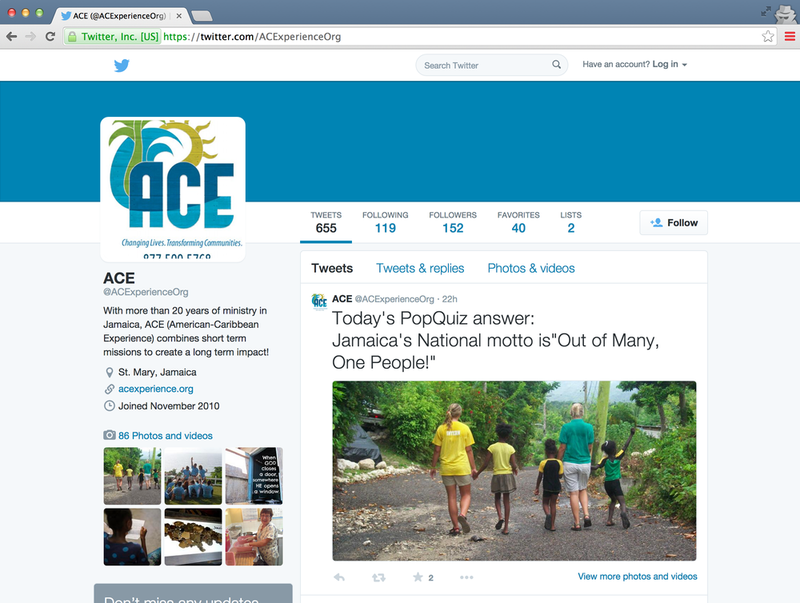 ACE contracted us to manage their social media accounts. They didn't have time to create or post content consistently to Facebook, Twitter, or Instagram. We implement a social media strategy to communicate important information, raise awareness about ACE's work, and strengthen community engagement on their social networks.